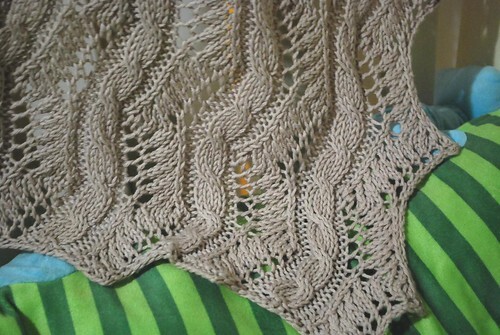 Shaimani’s Blanket | Rosi G.
What a pretty pattern! Absolutely beautiful. gorgeous design Rosi! love it! 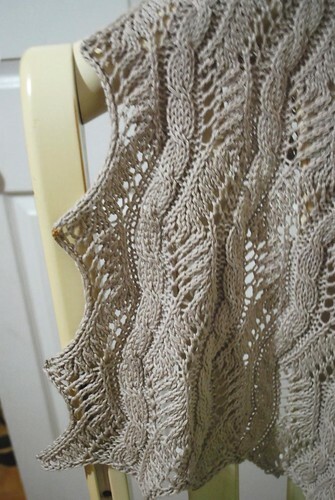 Aah your pattern design makes a beautiful baby blanket!! I love that wandering cable–I’ve never seen anything like that. 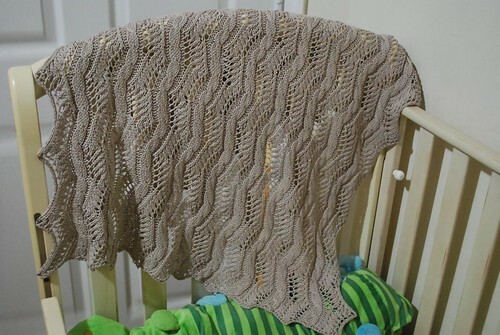 The worst part of these baby booms is when you’re done with all that knitting and you can’t think of anything to knit for yourself! That is gorgeous! I know what you mean about babies popping out left and right. It’s the summer of babies right now!